Both teams went into the match with a single victory each and it was an important encounter to gain a psychological advantage. The match was played on Saturday, October 19, 2013, at Punjab Cricket Association Stadium, Mohali, Chandigarh. George Bailey won the toss for the Kangaroos and put the home side in to bat first. The top and middle order batting of the hosts was unable to deliver the required results as expected. The Indian skipper, MS Dhoni, led his side with a brilliant unbeaten knock of 139 and Virat Kohli supported him well by contributing 68 runs. The Men in Blue managed to score 9-303 in 50 overs and that looked a reasonable achievement. Australia lost their three top order batsmen for 82 after utilizing 19.1 overs and the burden of scoring was taken by George Bailey along with Adam Voges. The duo found it hard to run with the clock as the spinners of the home side maintained their line and length. They crawled to 171 in 36.2 overs when Bailey lost his wicket for 43 and the visitors almost surrendered the match at 6-213 in 41.1 overs. Adam Voges was the only competent batsman left in the center when James Faulkner associated with him. The game looked like slipping away from the Aussies and they required 44 runs from the last 18 balls. MS Dhoni passed the ball on to Ishant Sharma for the 48th over which has become a part of history now. bowler that led his side to an impossible victory. He blasted 30 runs in the over and treated the Sharma as follows. Faulkner dispatched the third delivery of the 50th over flying over the fence and won the encounter for the tourists. He cemented his end for 64 off 29 mere balls with 6 towering sixes and 2 fours whereas Adam Voges was batting at 76 as Australia amassed 6-304. 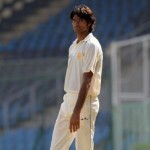 Below, we will highlight the other nine occasions when the bowlers got a rough treatment from the batsmen in the ODIs. The 7th match of ICC World Cup 2006-07, Group A was played on March 16, 2007, at Warner Park, Basseterre, St kitts. The 3rd ODI was played on July 26, 2013, at Pallekele International Cricket Stadium. 3- Batsman Shahid Afridi (Pakistan) vs. Bowler Malinga Bandara (Sri Lanka) – Runs scored 32. The 1st ODI was played on May 18, 2007, at Sheikh Zayed Stadium, Abu Dhabi. 4- Batsmen Kane Williamson and James Franklin (New Zealand) vs. Bowler Rizwan Cheema and Harvir Baidwan (Canada) – Runs scored 31. The 30th match of the ICC Cricket World Cup 2010-11 was played on March 13, 2011, at Wankhede Stadium, Mumbai. 5- Batsman Sanath Jayasuriya (Sri Lanka) vs. Bowler Aamer Sohail (Pakistan) – Runs scored 30. The 1st match of the Singer Cup was played on April 2, 1996, at The Padang, Singapore. 6- Batsman Sanath Jayasuriya (Sri Lanka) vs. Bowler Chris Harris (New Zealand) – Runs scored 30. The 2nd match of the ARY Gold Cup was played on April 10, 2001, at Sharjah Cricket Association Stadium. 7- Batsmen Mark Boucher and Jacques Kallis (South Africa) vs. Bowler Luuk van Troost – Runs scored 30. The 7th match of the ICC World Cup 2006-07 was held on March 16, 2007, at Warner Park, Basseterre, St Kitts. 8- Batsman Dimitri Mascarenhas (England) vs. Bowler Yuvraj Singh (India) – Runs scored 30. The 6th ODI of the NatWest Series was played at Kennington Oval, London, on September 5, 2007. 9- Batsman Ross Taylor (New Zealand) vs. Bowler Abdul Razzaq (Pakistan) – Runs scored 30. The 24th match of teh ICC Cricket World Cup 2010-11, was played on March 8, 2011, at Pallekele International Cricket Stadium. 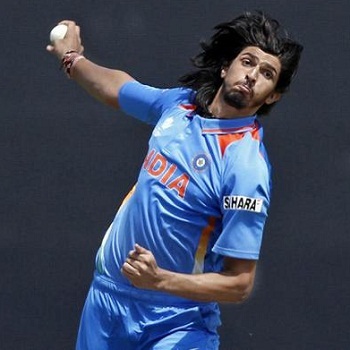 I feel pity for Ishant Sharma, any bowler could have been punished at that point of time. It was bound to be coming. I hope he will learn a lesson and come up with some solid improvements in his depth over bowling techniques.